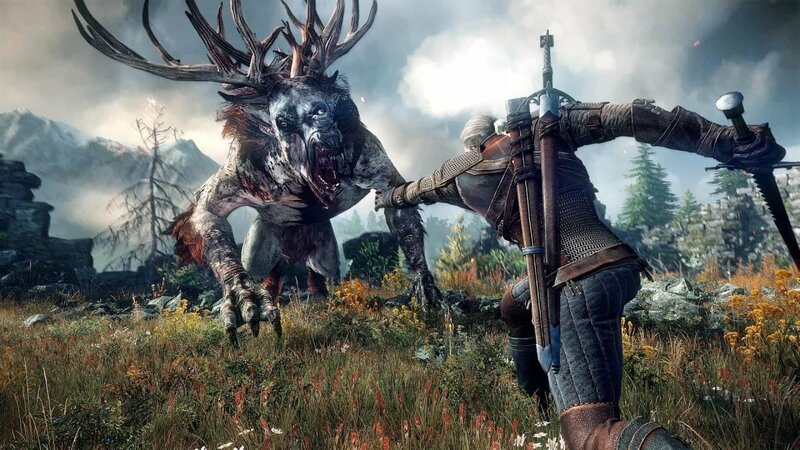 I’ve started replaying The Witcher 3: Wild Hunt, and now that I’m a good way through my second playthrough, everything that I initially loved is solidifying itself, while everything that drove me nuts is sticking out like a sore thumb. The game is amazing. It’s one of the best games I’ve ever played, and I could even understand why it’s some people’s favourite RPG of all time. But for me, it’s not quite there- just not quite. Anyone that’s completed The Witcher 3’s main story knows how wonderfully put together everything is. Whether you’re working for the Baron, tracking down Ciri, or making a final stand against the Wild Hunt at Kaer Morhen, you’re always going to be invested in the stories and especially the characters. Relationships are three dimensional and complex, and making in-game decisions is challenging and affecting. Geralt and Ciri’s father-daughter relationship is heartwarming and at times deeply moving, especially in the context of the narrative. For example, since Emhyr var Emreis is Ciri’s actual father and blood relative, finding her becomes a bittersweet feeling for Geralt. 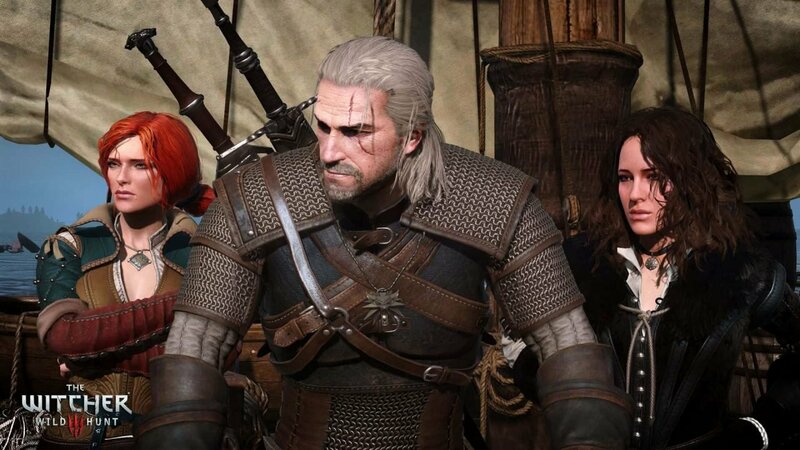 Another solid character dynamic in the game is between Geralt, Triss and Yennefer. The romances available for Geralt are well crafted and feel believable, making Geralt’s choice between Yen and Triss genuinely tricky, especially after spending such a large part of the game with each of them. Make sure to choose wisely, because picking one destroys your relationship with the other. Another bright spot for me was the game’s map. While a lot of open-world fans get overly obsessed with map size, people sometimes forget that sheer landmass doesn’t make a memorable world to explore. The problem is that size is a lot more marketable than density. For example, studios like Ubisoft have a way easier time slapping on a quick wide angle shot to their Assassin’s Creed trailer to show pure map size than they do meticulously curating natural gameplay encounters to exhibit map density. Personally, I’d rather be bombarded with random events and side quests than wander aimlessly across an empty cityscape, but developers still have a few other options when it comes to the world design. Some developers choose to focus on realism and energy rather than on events and activities. Take GTA 5, for example. While the world isn’t exactly teeming with things to do, for the most part, it doesn’t really matter. While The Witcher 3 relies on handcrafted storylines to entertain, GTA leaves that to the player, meaning that if you don’t go looking to have some fun and cause some trouble, you’re probably going to be super bored. That isn’t even a bad thing, in fact, it’s probably my favourite part about the GTA series. Exploration feels natural and actually worthwhile, even if you aren’t necessarily looking for anything. GTA’s map just feels so real that side content doesn’t matter. Of course, that feeling is trying to create, meaning that a lot of game worlds come out of the factory feeling empty. While Metal Gear Solid 5 is a stellar game, its map feels incredibly bland. The most you can hope to find in MGS5 are enemy outposts, and while they can be super fun to raid for the sake of causing pure, unadulterated violence, the routine can get a little taxing. Then, of course, there’s The Witcher 3. While the game’s map can be described in many ways, it can’t be called empty. The world is just teeming with life, so much so that I’ve had fun just roaming around Northern Realms with Roach rather than sticking to any particular task or quest. Finally, all three main sections of The Witcher 3’s map are exciting and varied. Whether you’re stumbling around the cliffs of Skellige, roaming the forests of Northern Realms, or prancing across the fields of White Orchard, you’re always going to be in for a treat. Every single quest in The Witcher 3 is worth doing. I can’t even count the number of times I’ve forgotten that I wasn’t completing the main quest, just due to the fact that a lot of the side quests are just so good. These side activities aren’t merely mini-games or copy and pasted dungeons, they’re handcrafted and self-contained stories worthy of sharing the game world with the main story. Not every aspect of The Witcher 3 is Game of the Year worthy. Character customization is definitely a low point for the title, especially when compared to other games in the genre. Forget about character creation systems like those found in The Elder Scrolls or Dark Souls series’, in The Witcher you’re stuck with Geralt in all of his silver-haired glory. You do have some minimal customization, though. 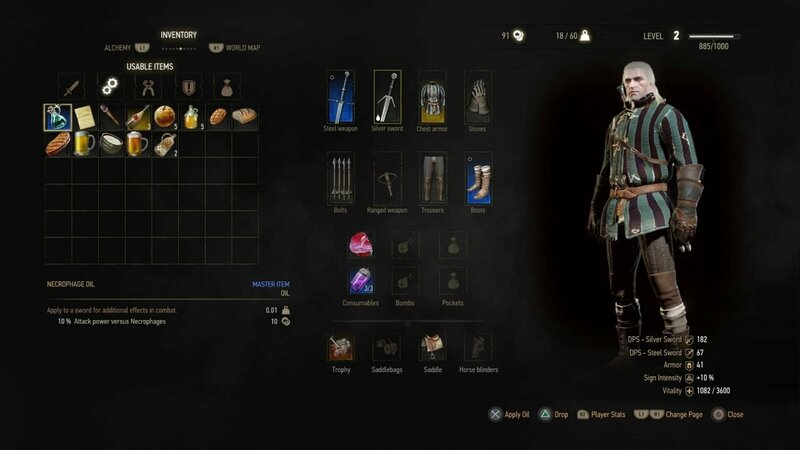 You can change Geralt’s hair and beard styles, and you have a ton of armour to choose from, although a lot of it looks subpar. 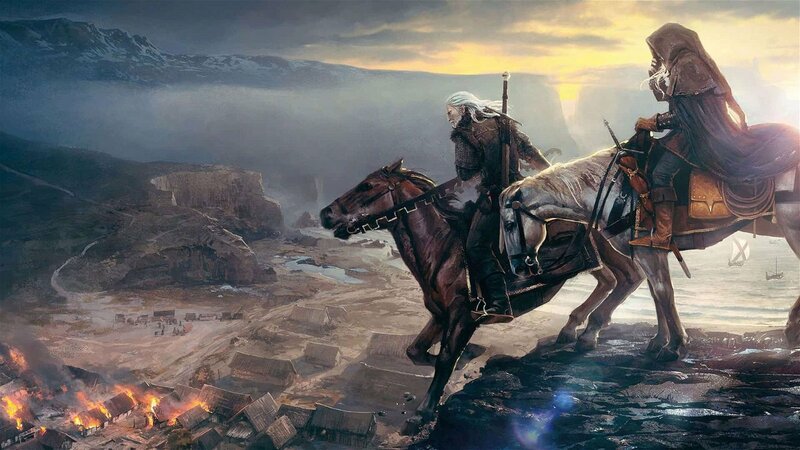 Thanks to Andrzej Sapkowski’s heritage, The Witcher 3 takes a lot of inspiration from Polish folklore, and some of that influence has seeped into the games as well as his books. Instead of suiting up in shining King Arthur-style armour, more often than not, Geralt is strapped into thick cloth and leather getups. While not exactly game ruining, seeing your hero battle hordes of enemies just isn’t as fun when he’s sporting a sizable beer belly. The game’s combat is also lacklustre. That is not to say it is terrible, it’s just so average that it’s hard to really get behind it. You’re limited to swords for the entirety of the game, and what’s worse is that each weapon feels and plays exactly like all of the others, albeit with stat boosts. You also have a crossbow, but its damage cap is so small that it’s not even useable. You’ll most likely forget about it after the first couple of quests. The Witcher 3’s magic system is another miss for the fan-favourite RPG. While Geralt can use a few exciting spells (which are called signs in The Witcher), you can’t discover or create any new powers, and upgrading your preexisting signs usually results in nothing more than a slight stat boost. Sure, you can get alternate sign modes later on in the game, but similarly to the crossbow, most of the alternate signs become borderline unusable. When it comes to signs, your best bet is sticking to Quen. In combat, throwing up your protective shield and dancing around enemy blows is a lot easier than blasting enemies with fire, and a lot more useful too. Once you get used to continuously dodging and throwing up Quen, enemies have little to no chance of actually killing you, and by the end of the game, you’ll feel more like a ballerina than an infamous monster hunter. There are a plethora of games with great crafting systems, but The Witcher 3 is not one of them. The UI is clunky and hard to navigate, making crafting and alchemy incredibly tricky and time-consuming. For most of my playthrough, I completely forgot about crafting and alchemy, and instead just scavenged new armour and weapons off of some of my many victims. I only really started getting into crafting once I became way too fed up with how ugly Geralt looked in the old leather and tattered cloth I had him dressed up in. I must have made less than ten potions throughout my entire playthrough. While at first, I was interested in the game’s extensive alchemy systems, I quickly learnt that it was a lot faster to come in swinging with my silver sword than to buff myself up with concoctions made of spider-parts and drowner brains. About a quarter of the way through I completely forgot about alchemy, although I made sure I was always stocked up with enough food to replenish Geralt’s health. How Can Cyberpunk 77 Improve on the Witcher 3 Formula? The Witcher 3 was a landmark achievement for RPGs and videogames in general, and there’s no doubt about that. 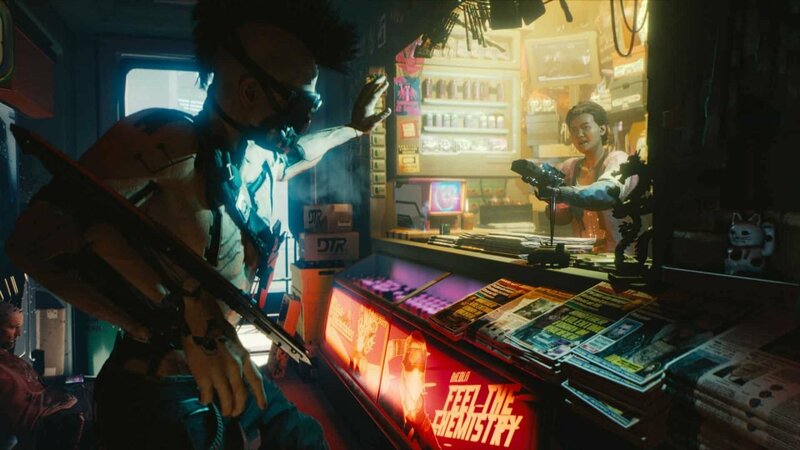 However, no game is perfect, and now that CD Projekt Red has officially moved on from the series (at least for the time being), it’s finally time to look towards the future and to decide how CDPR can make Cyberpunk 2077 the best RPG of all time. We want to bring our readers in on the action. Below, you can find a quick 12 question Google survey where you can choose exactly what you want to see in Cyberpunk 2077. Feel free to leave a comment to let us know what you think!